Every three years, the renowned spa destination of Bad Ragaz puts on a new face. Bad RagARTz is Europe's largest open-air sculpture exhibition. This year, more than half a million visitors have pilgrimaged there to enjoy the seventh edition. The sculpture festival features more than 400 sculptures weighing a total of 2’400 tons. For years, I have been hearing about this grand art exhibit in Bad Ragaz. But I never felt compelled to make my way there - until recently. What moved me was that this year, the sculpture extravaganza comes with a special twist: a multimedia light spectacle called Light Ragaz, projected on the rock walls of the nearby Tamina Gorge. It was time for us to attend to our artistic side. There is quite literally tons of art! 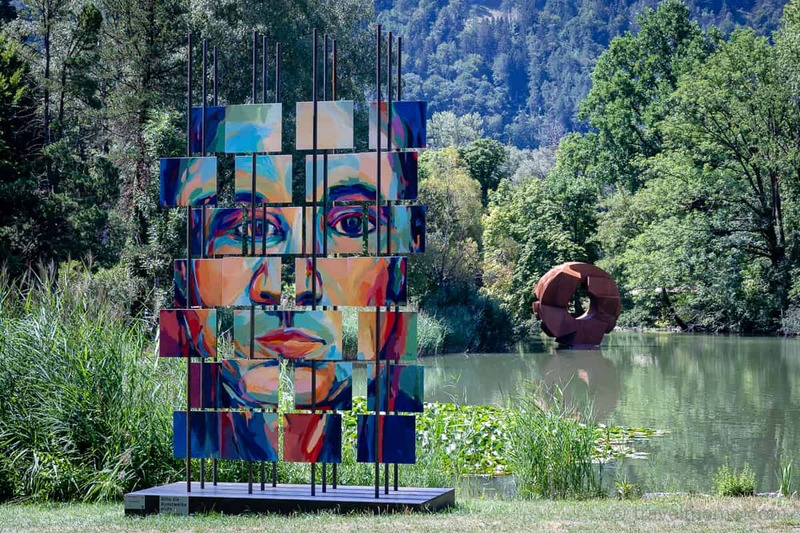 In Bad Ragaz and neighboring Vaduz, 77 female and male artists from 17 countries are responsible for the more than 400 art works on exhibit at the 7th Swiss Sculpture Triennial. Tipping the scale at a respectable 2’400 tons total, they average over 5 tons each! The exhibition is the brain child of the Bad Ragaz couple of Rolf and Esther Hohmeister. They started it about 20 years ago and are still its co-organizers. Rolf Hohmeister is not only a rheumatologist at the Bad Ragaz medical center, but also a passionate art collector and art lover. The organizers definitely succeeded with the last triennial. This is when they caused heads to explode from Bad Ragatz all the way to Saudi Arabia with their "lighthouse" Cristo Salvador sculpture. 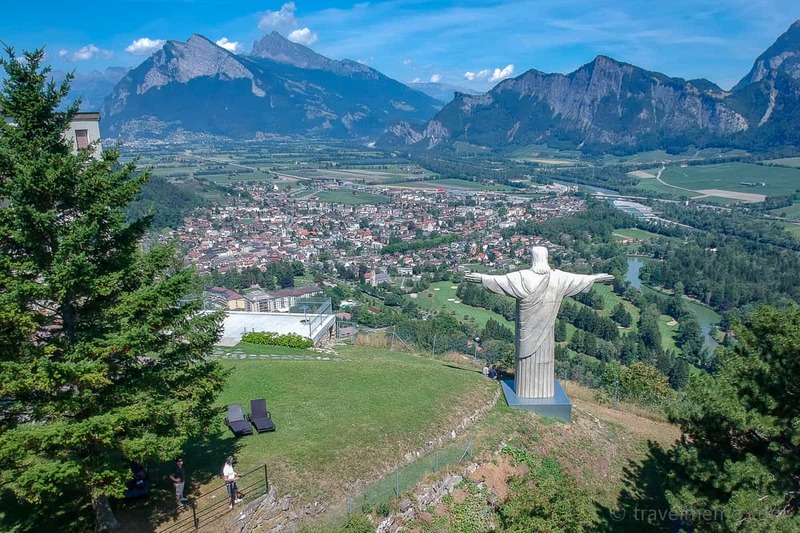 The Bad Ragaz Town Council, however, was against a permanent installation of Cristo Salvador on the top of their backyard mountain. At the time, there was talk of a sale to Saudi Arabia. That prospect, in turn, stirred up the brave citizens of the neighboring Pfäfer village: in no time, they had Cristo helilifted into the airy garden of Hotel Schloss Wartenstein. Since then, he extends his protective hands over the Rhine Valley and the Tamina Valley from up there. The 7th Swiss Triennial of Sculpture runs from May 5 to Nov 4, 2018. Visit the website for additional information. Walter Schaerer is the founder of travelmemo.com, a blog about affordable luxury travel. Based in Zurich, Switzerland, Walter has an extensive background in the travel industry and is a skilled photographer.